Moneypenny, the Wrexham based outsourced switchboard and telephone answering contact centre, has officially completed the move to its new, £15m headquarters. 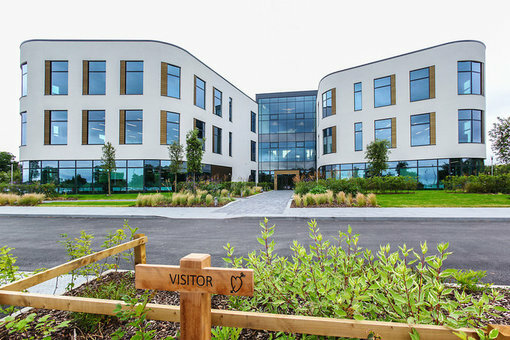 Designed to create “the happiest workplace in the UK”, the pioneering building reflects the company’s rapid growth and has been built based on the feedback of its 500 employees. “What we believe is simple: the happier our staff, the happier our clients. So when we outgrew our previous offices and made the decision to build a new headquarters, we asked ourselves how we can make sure that our receptionists are the happiest in the UK? 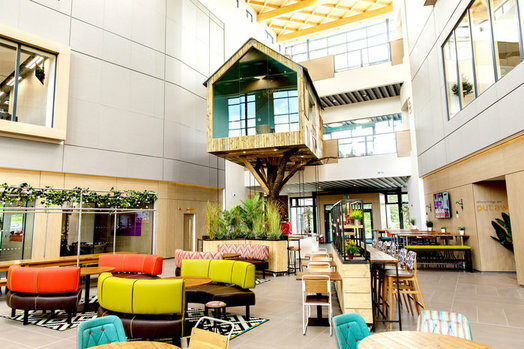 Inside, the striking 91,000sq ft building – which rivals the likes of Google and Apple’s headquarters – boasts a treehouse meeting room, its own village pub, a sun terrace and a triple height atrium with stadium seating and a restaurant offering free breakfast and fruit. Outside the development is equally impressive and surrounded by seven acres of landscaped grounds with nature trails, a duck pond and orchards with picturesque countryside views. Able to house up to 1,000 employees, the building supports Moneypenny’s plans to create an additional 500 jobs within the next few years. Remarkably, the entire development – designed by award-winning Manchester-based architects AEW – cost the same price as a standard brick ‘box’ office too. 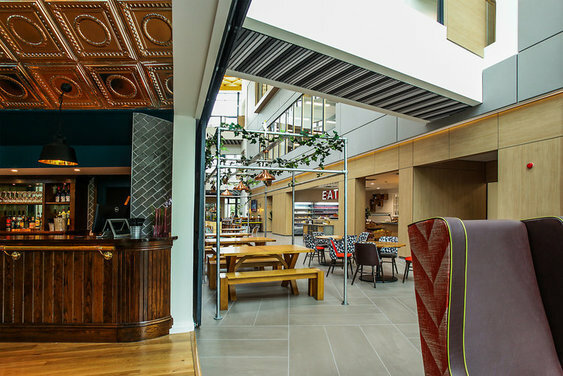 Ed continued: “We provided our architects, AEW, with the same budget we’d been quoted to build a standard office and said ‘right, show us how we can create something amazing’. No ordinary workplace, this is the latest in business-leading moves that the company has made to guarantee the well-being of its staff. Four years ago, Moneypenny set up an office in New Zealand where staff fly out to on six month secondments to answer overnight UK calls so they don’t have to work night shifts. Ed continued, “Offices in Britain are constantly ranked the coldest, ugliest or most miserable places to work, but business owners are missing a trick. There are countless studies which have proven that staff are more productive when they enjoy coming to work – but what are companies doing to make this a reality? For us, the building is more than just bricks and mortar. It’s a manifestation of our ethos, of our achievements so far, of our culture and of our aspirations. It’s about blurring the lines between work and home so employees feel happy, comfortable and empowered. Moneypenny’s HQ will also be one of the most acoustically innovative buildings in the country. Using a combination of bespoke sound absorption and elimination technology, sound engineers have created the perfect call handling environment. Moneypenny looks after telephone calls for businesses of all shapes and sizes – from sole traders right up to multinational corporations. Based in Wrexham, UK as well as Charleston, USA and Auckland, New Zealand, Moneypenny has over 500 staff, a figure that is growing at a rapid rate. The company was founded by a brother and sister team in 2000 and currently handles over 10 million calls a year for over 8,500 UK businesses. Be the first to comment on "Moneypenny Contact Centre Completes HQ Move"